Solage, an Auberge Resort is situated close to Calistoga, a city with just over 5,000 residents near the northern tip of Napa Valley's wine country. 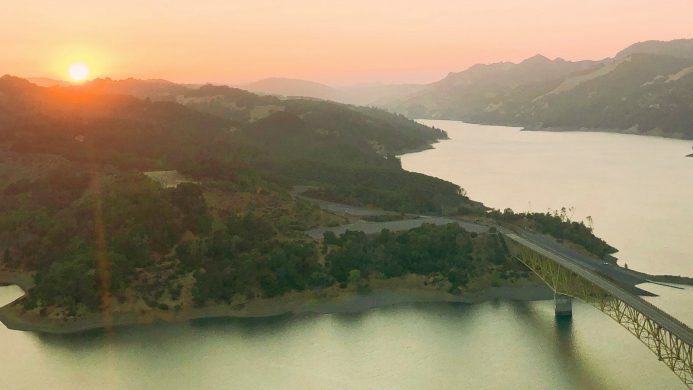 An easy bike ride from the resort, the city is surrounded by the breathtaking Mayacamas and Palisades mountain ranges and is famous for the natural hot springs in the area. Experience eco-friendly luxury at Solage, an Auberge Resort, a loft-inspired resort situated on 22 acres at the northern end of Napa Valley, featuring an award-winning restaurant and 20,000 sq. ft. spa. Solage, an Auberge Resort offers a Napa Valley experience with an eco-friendly twist. This resort features 89 studio accommodations that boast high-beamed vaulted ceilings, warm local woods, natural fibers, polished concrete floors, and pebble-stone showers. Each accommodation also comes with a pair of complimentary cruiser bicycles guests can use to explore the resort's native-landscaped grounds and the nearby city of Calistoga. Solbar, the resort's Michelin star-rated restaurant, offers a seasonally-driven menu bursting with local organic flavor and was recently named "Best New Restaurant" in Napa Valley by Napa/Sonoma Magazine. You can dine on the incredible outdoor patio or bask near the warmth of the contemporary dining room fireplace as you savor dishes such as slow-roasted shoulder of pork with black sesame crepes or ahi tuna with bacon and chanterelle mushrooms. Be sure to check out the hotel's spa, famed for its geo-thermal mineral waters and healing mud treatments. Send an availability request with your requested dates to the Solage, an Auberge Resort. Features 1 King bed, vaulted ceilings, pebble floor shower and private patio. Features 2 Queen beds, vaulted ceilings, shower and private patio. Features 1 King bed, shower and separate tub, fireplace and private patio. Features 2 Queen beds, vaulted ceilings, pebble floor shower, bathtub and private patio. One bedroom Suite with 1 King bed, fireplace, steam shower, bathtub and private patio with hot tub.